I struggled with this week as well... I would have loved to capture some of the leaves falling but there isn't any leaves left... Seems you may have been torn in how to capture this week but totally ended up nailing it! Love the fur in the wind! I love that she photo bombed the photo! Love her fur blowing in the wind too. :) And I like the change up you did here on your blog. You rearranged, or changed the background? I almost had to do a double take to figure out if I was in the right place. Ha! love this photo! 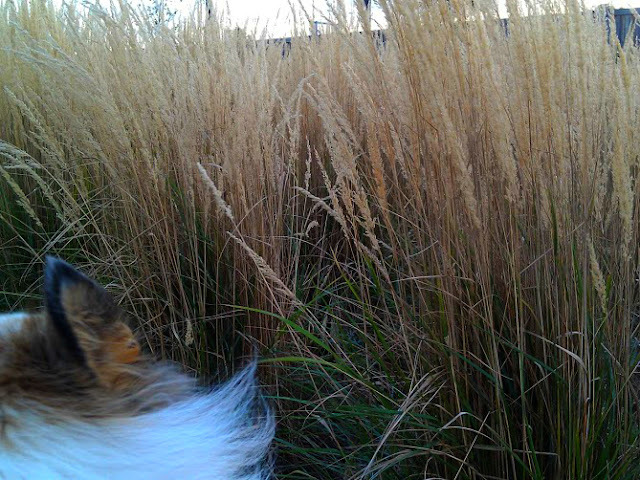 love the dry grass (or whatever you call it) and really making me want a pup! i know, i didn't feel much wind. i did yesterday, but it was little and during the day when i didn't have my camera. i hope we have visitors as well for our birdhouses.